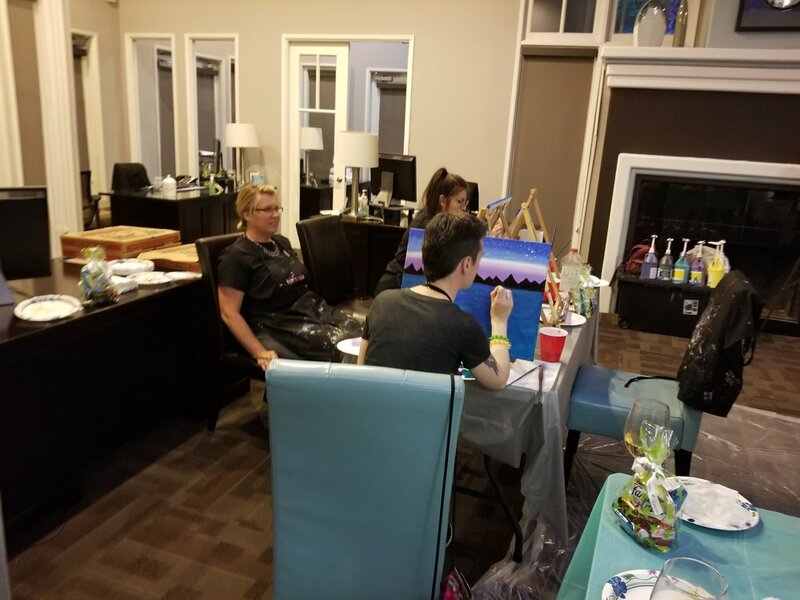 Pop Up Studios was asked to host an event for Camden Martinique Apartment's Residents. 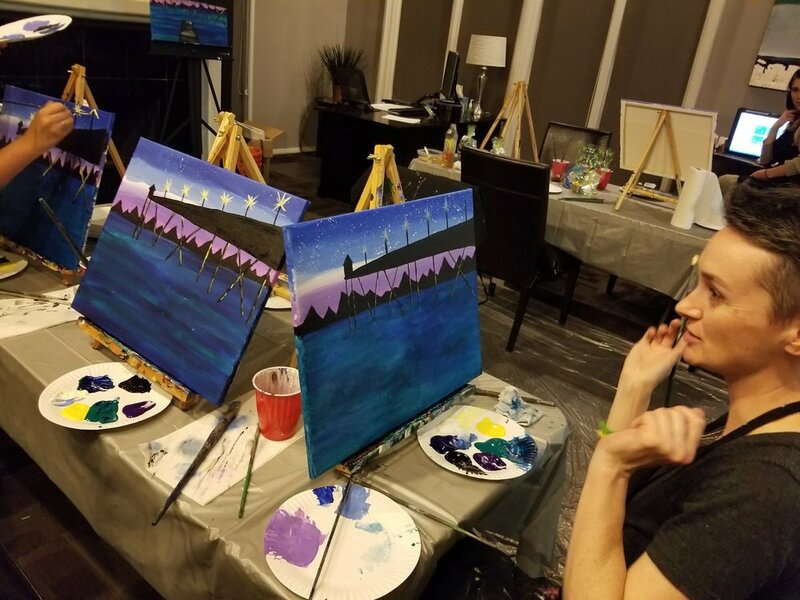 From start to finish it was such an amazing time!!! 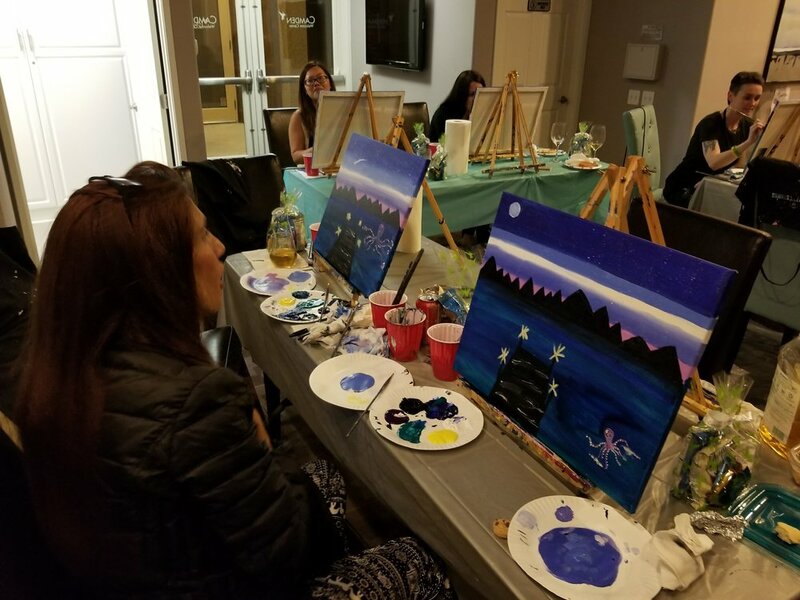 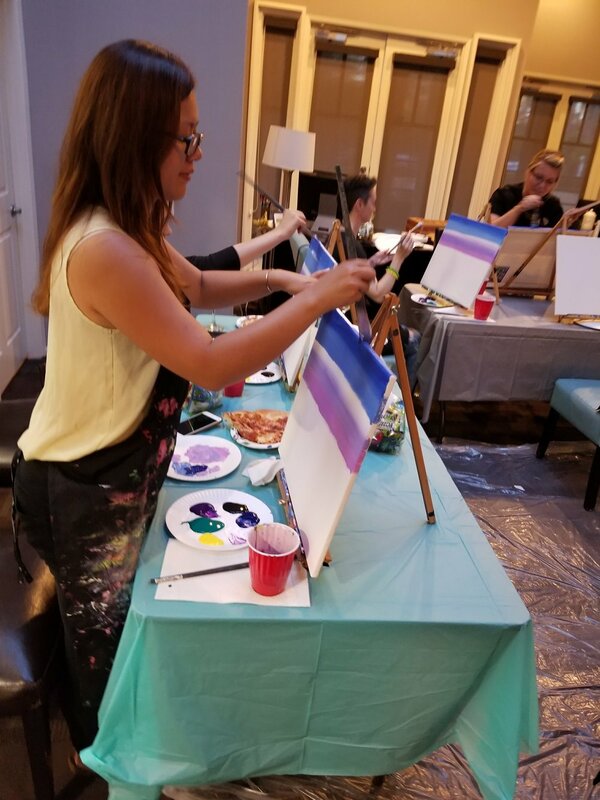 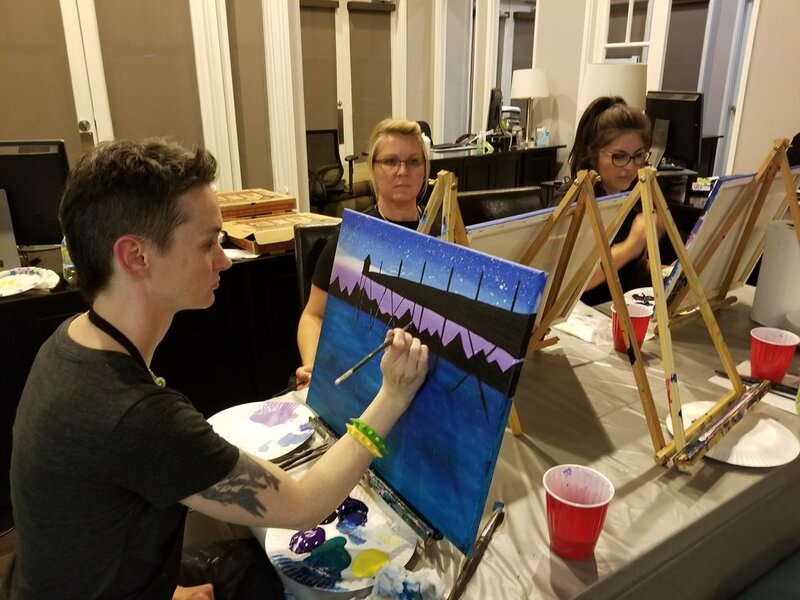 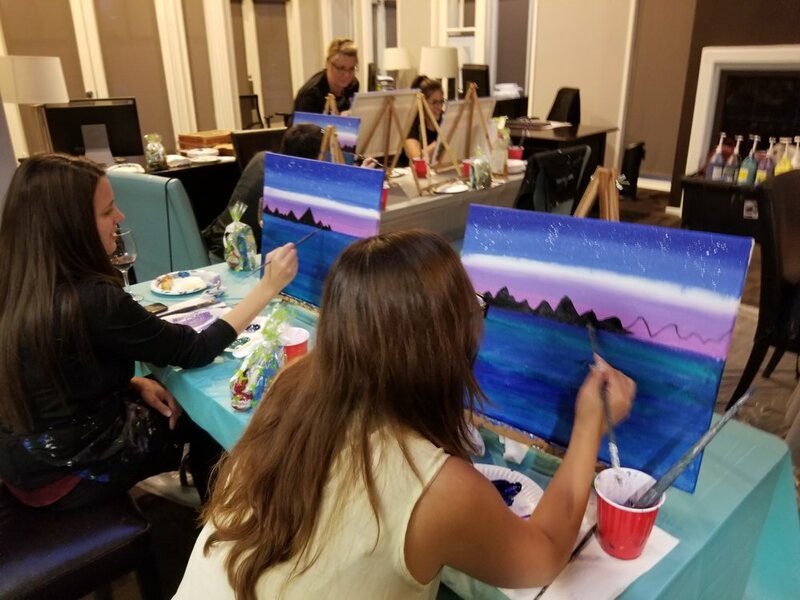 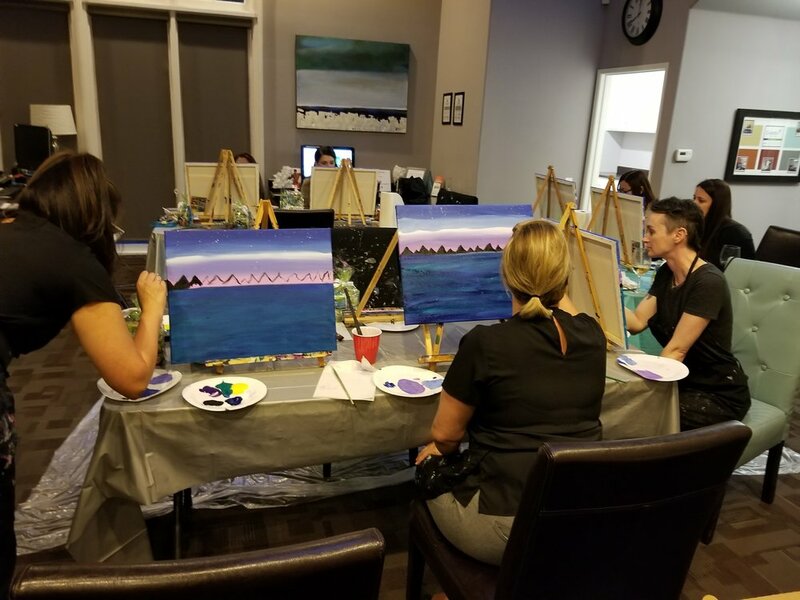 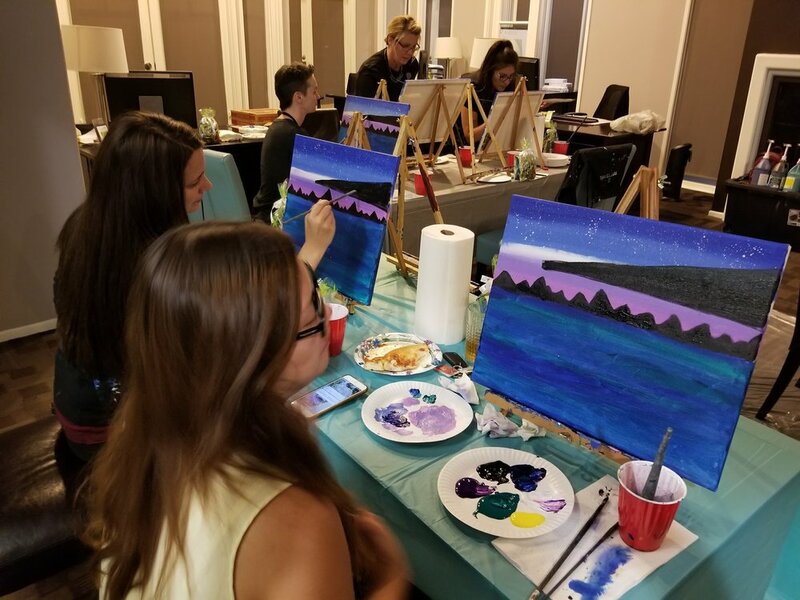 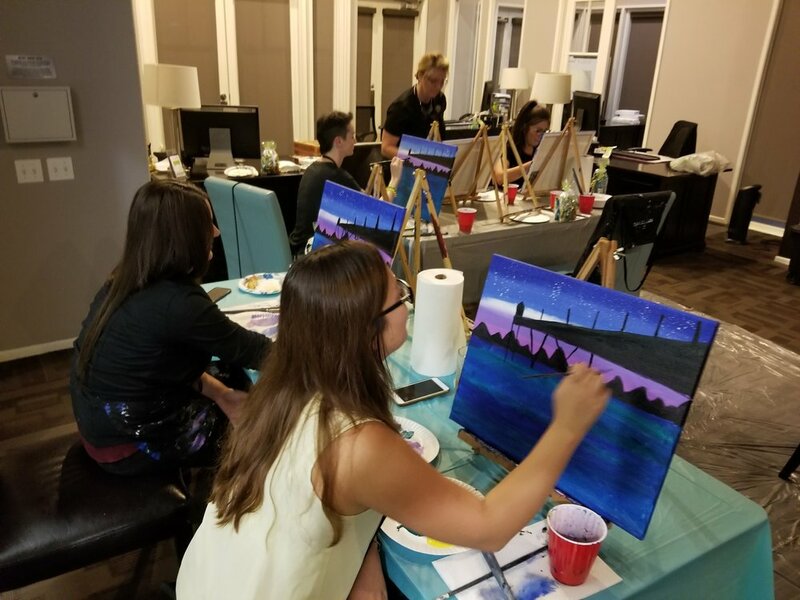 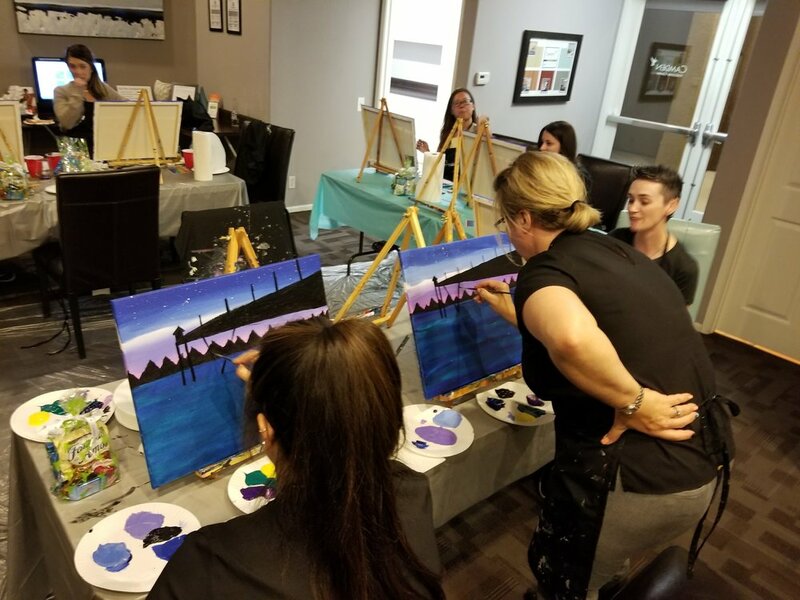 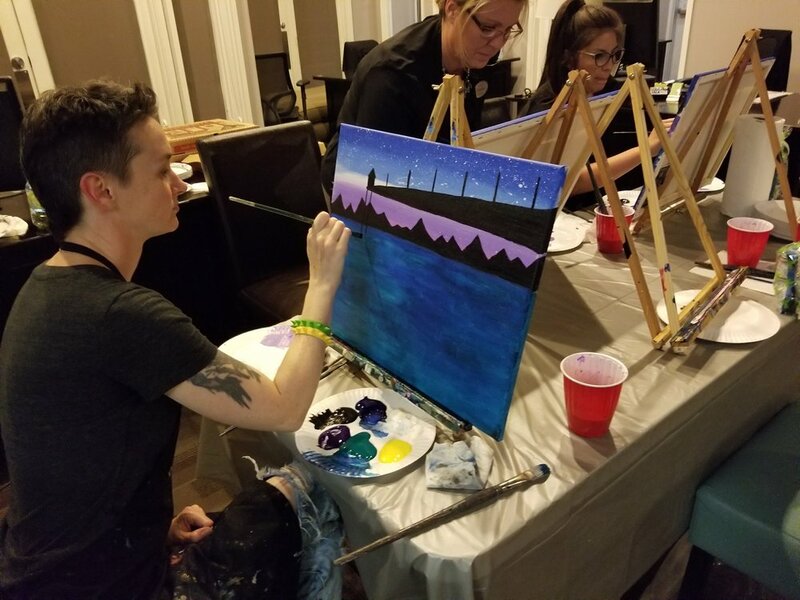 We started by having some awesome snacks and drinking wine, and then we got to painting. 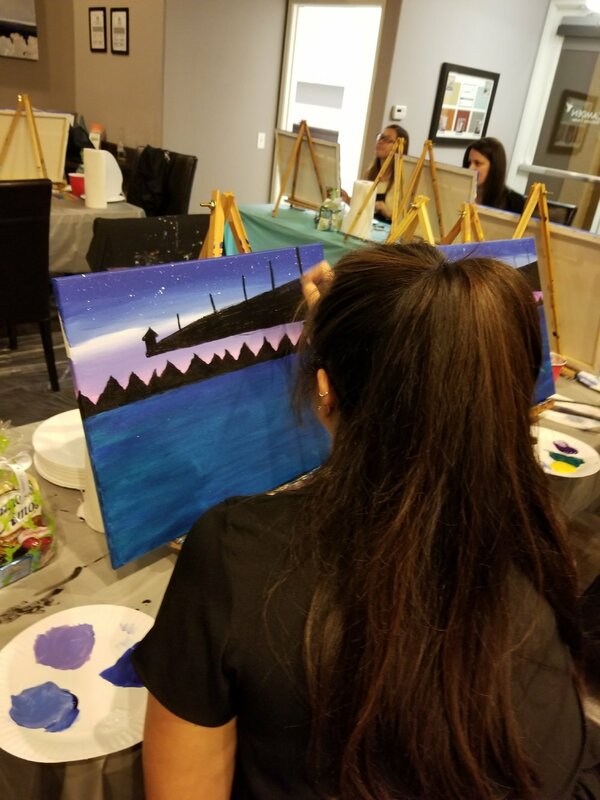 We painted "Beach City Pier" which is one of the harder two hour paintings that I have, and they all NAILED IT!!! 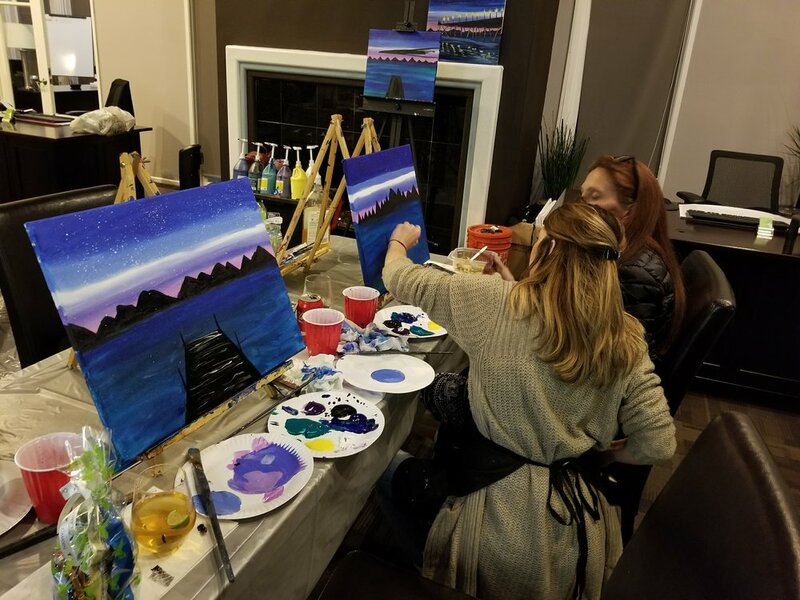 Every painting had it's own flare and style, plus they all had a pretty awesome time painting! 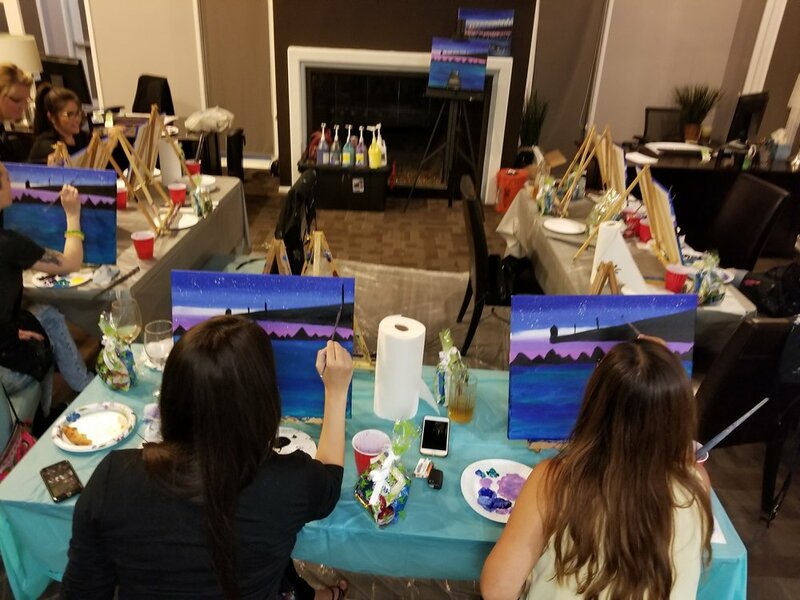 All the ladies had such a fun time that they were already talking about what to do next, painting or project. 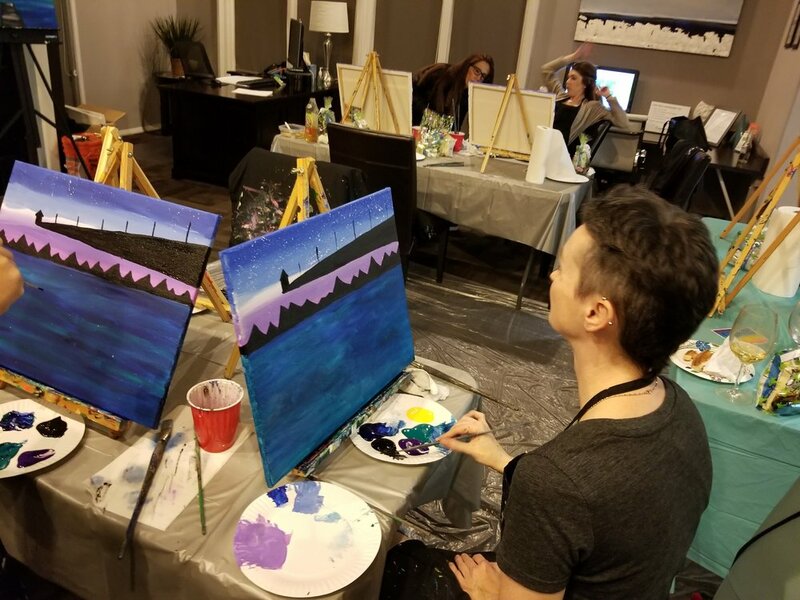 It was an awesome time can't wait for what's next!